Well that was fast. 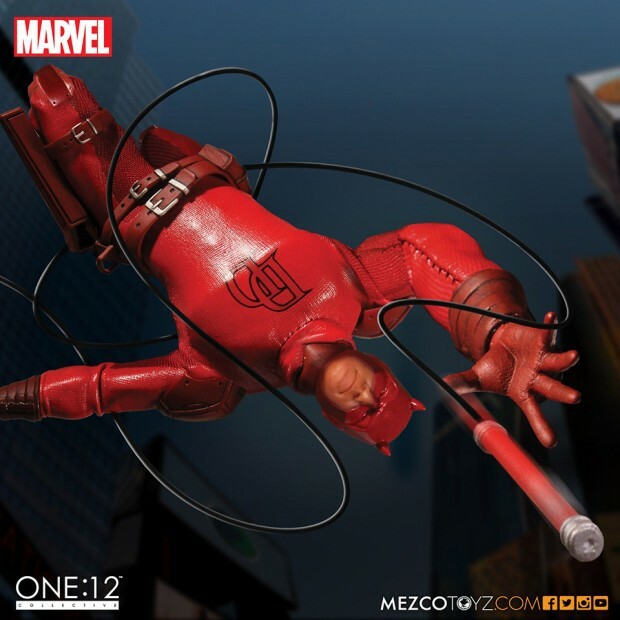 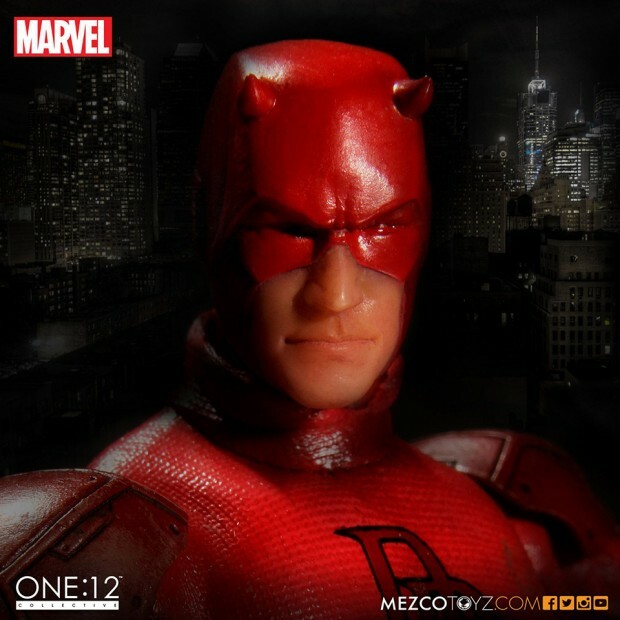 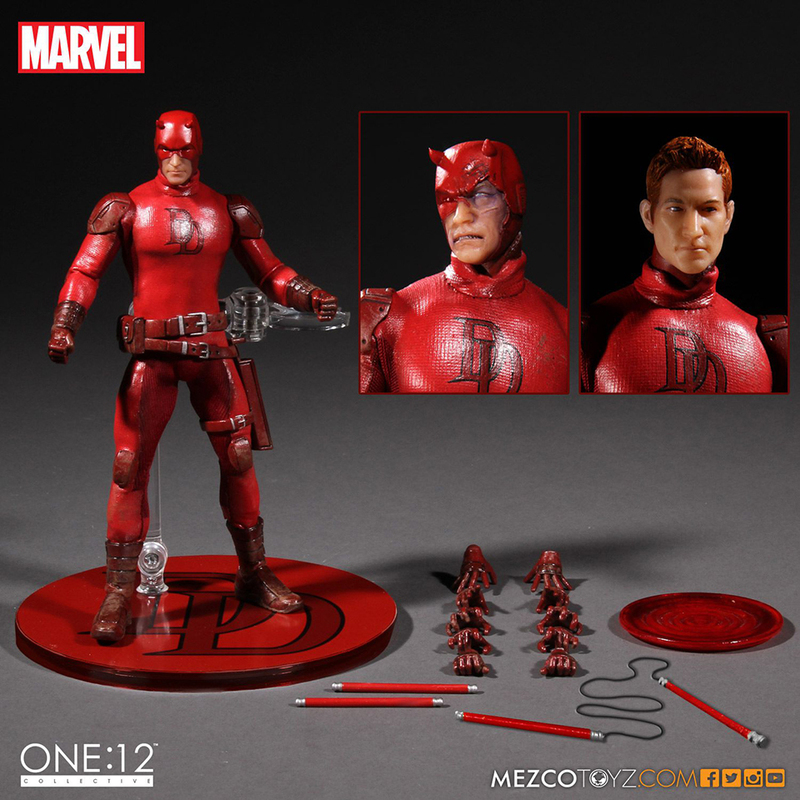 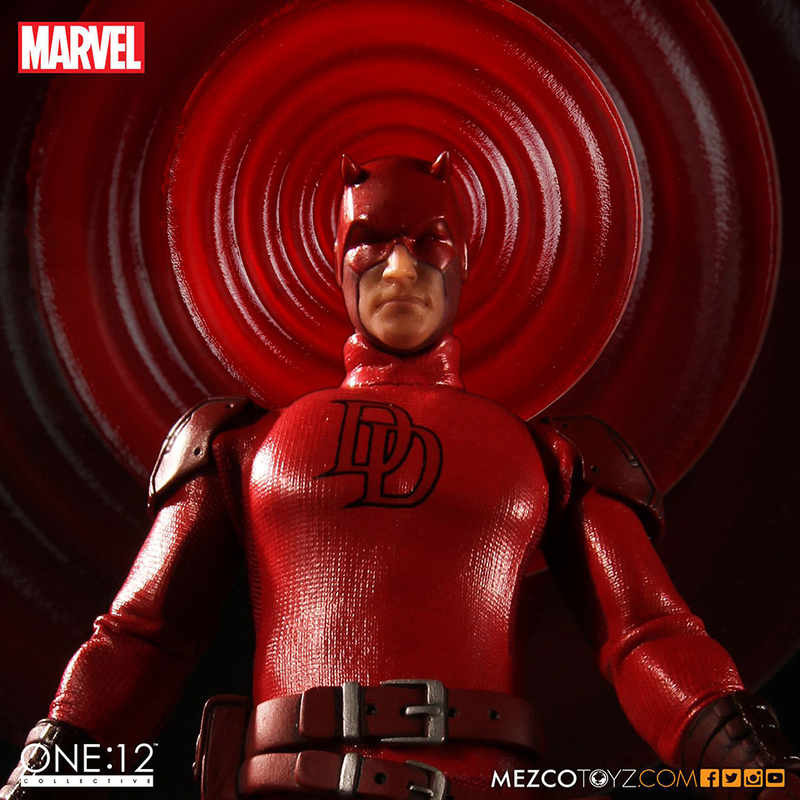 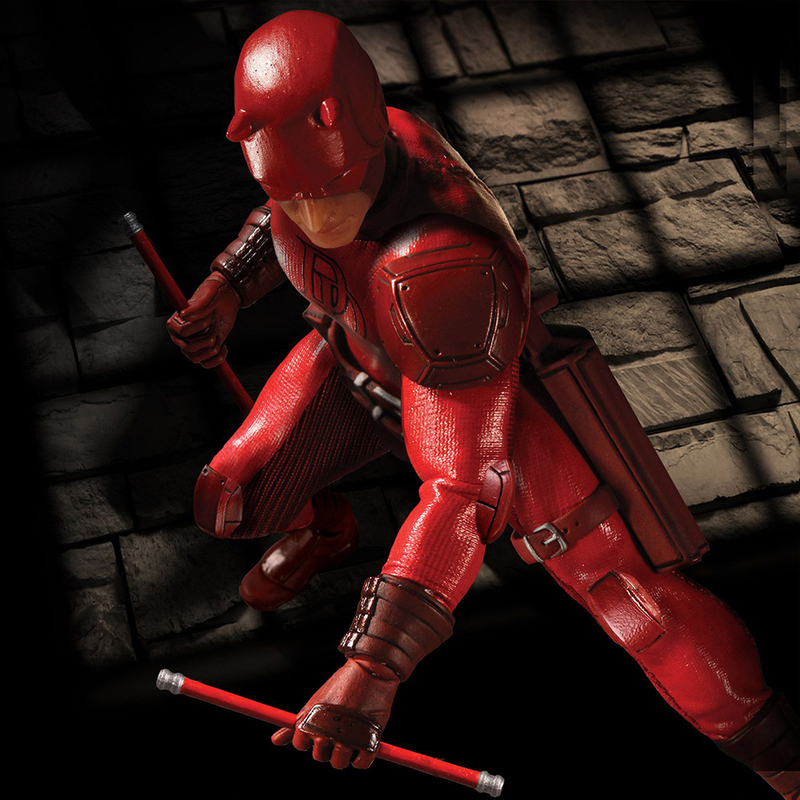 Mezco Toyz is now taking pre-orders for its 12th scale Daredevil action figure, just a week after unveiling Captain America. 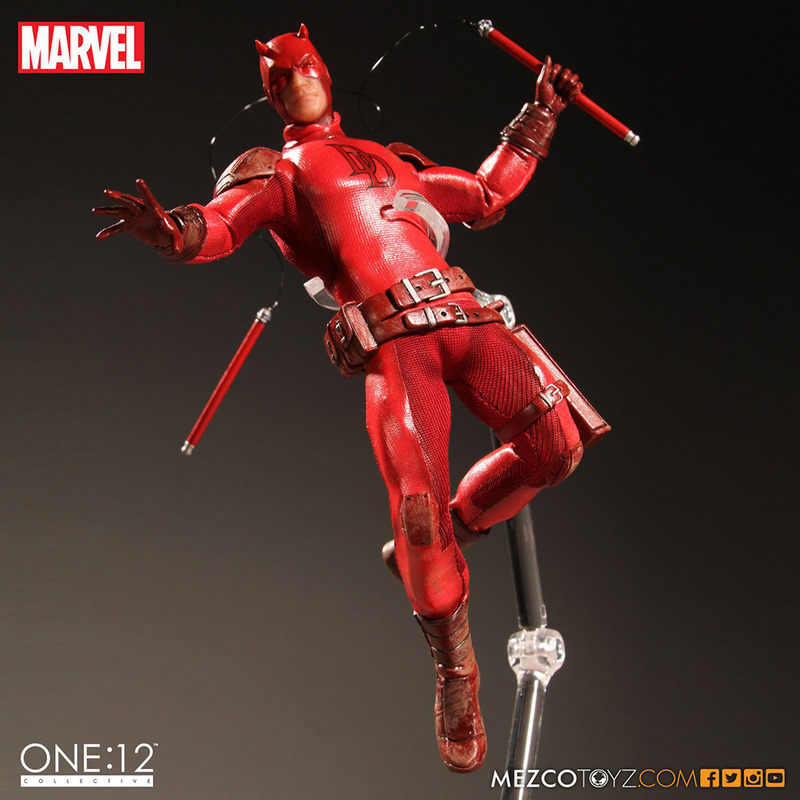 The $80 (USD) collectible comes with six pairs of hands, two pairs of Billy clubs, a sonar effect, and three heads, all of which are somehow worse than the ones on the Cap figure. 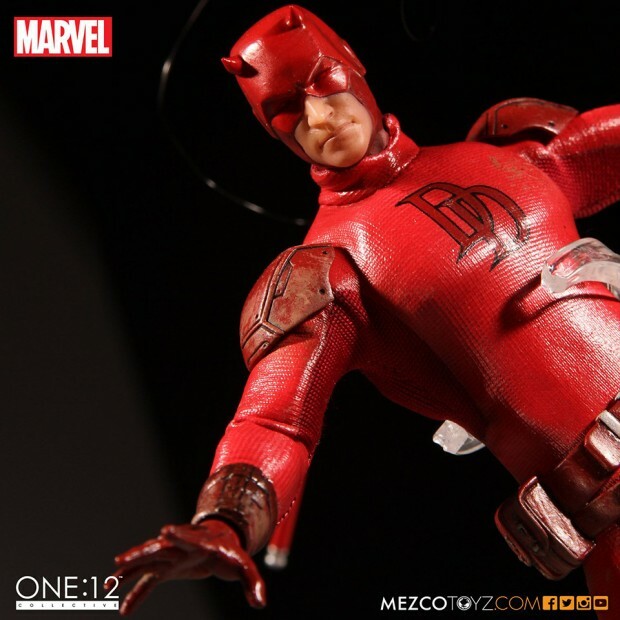 I guess nothing really is perfect.